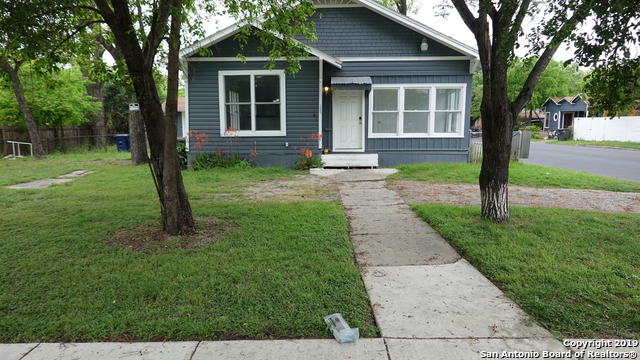 All BEACON HILL homes currently listed for sale in San Antonio as of 04/22/2019 are shown below. You can change the search criteria at any time by pressing the 'Change Search' button below. "Timeless classic Beacon Hill bungalow. Completely renovated and restored while keeping true to 1920's charm. This spacious 4 bed, 2 1/2 bath offers elegant open concept, gourmet granite kitchen, high end SS appliances & exquisitely updated bathrooms. Beautiful master suite retreat & outstanding master closet. Inviting covered patio. Spacious corner lot. 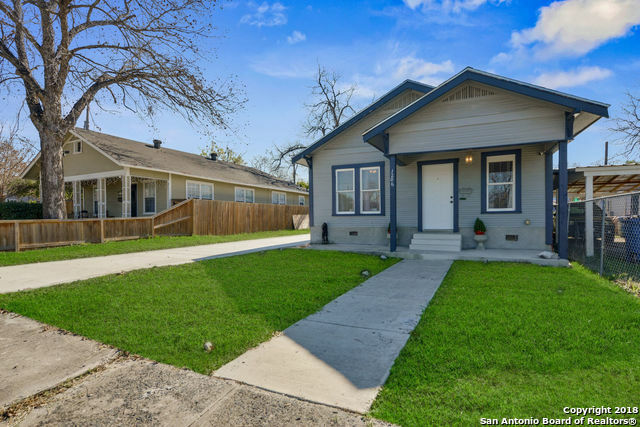 Convenient to the Pearl, the Quarry Market, Trinity & UIW." "Don't miss this majestic Victorian 2 story 3 bed 2.5 bath home in the very popular Beacon Hill area. Impressive is the ONLY way to describe the recent updates. Lots of natural light to show off the new flooring, sheetrock, paint, HVAC, bathrooms & Kitchen. Large deck overlooking front is fabulous to catch those breezes! Great house with a detached garage that is ready for your restoration and maybe Airbnb to pay your mortgage! Lots of possibilities with this great home on two lots." "This beautifully updated home is a show stopper, paid off solar panels for energy efficiency and much more! This home has a huge lot, driveway and gorgeous front porch with a just installed composite deck. One of a kind creative interior and a large outdoor space that is definitely one to remember w/ an accessory building for more fun! Roof, sewage, AC, NEST, solar, water heater, Ring alarm and camera system all installed within the last 3 years! Too many updates to list! Rare unfinished basemen"
"This gem is located in historic Beacon Hill. Complete ground-up renovation including roof, exterior siding, and low-e windows. Kitchen features granite counters, SS appliances, new cabinets & backsplash. Home sits on a corner lot surrounded by mature trees with a gorgeous back patio deck for entertaining, complete with a privacy fence. Previously appraised for $335K. Centrally located just minutes from downtown, The Pearl, Quarry and I-10." "You'll love this gorgeous 3-story home located in San Antonio. 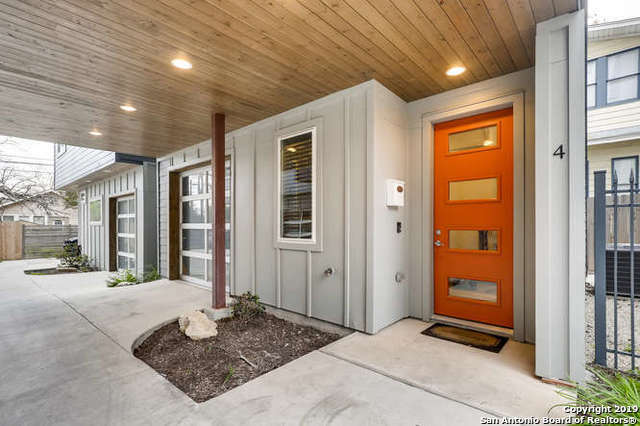 This 3-bedroom, 3-bathroom home has a 1-car park-giving you 1,497 sq. ft. with an open floor plan of spacious elegance, natural oak floors throughout, and a modern gourmet kitchen. This house is simple yet it is a house where you can live happily and comfortably with your family. Why are you still reading this? CALL NOW!" "This gem is located in historic Beacon Hill. 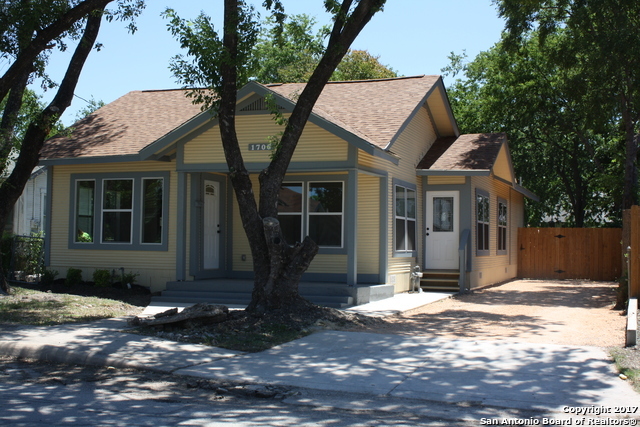 Complete ground-up renovation: 3 Bedroom / 2 Bath 1,520 Sqft living area, New Central Air / Gas heating, New Electrical. All new plumbing. Standing Seam Metal Roof. Stainless Steel Appliances and Tankless Water Heater. Wire-brushed French Oak Hardwood Floors. Concrete Counter tops New Driveway, European style privacy fence"
"1922 Craftsman Available for Immediate Move-In. Renovated Tastefully. Beautiful Original Wood Floors. Open Concept Layout. 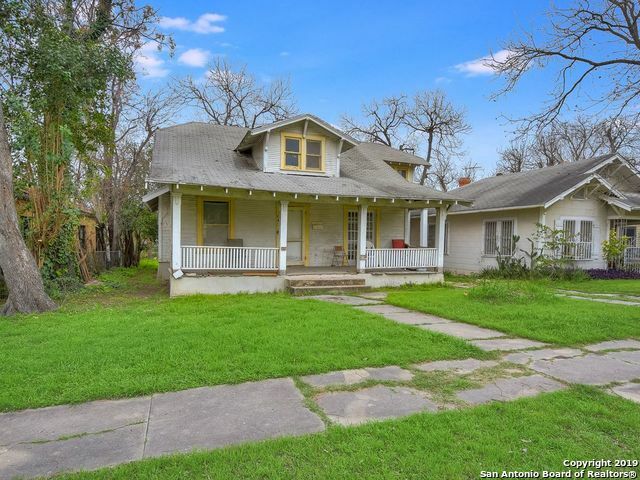 3beds/2baths and 1836 Square Feet of Vintage Home, with a Light and Bright Interior. 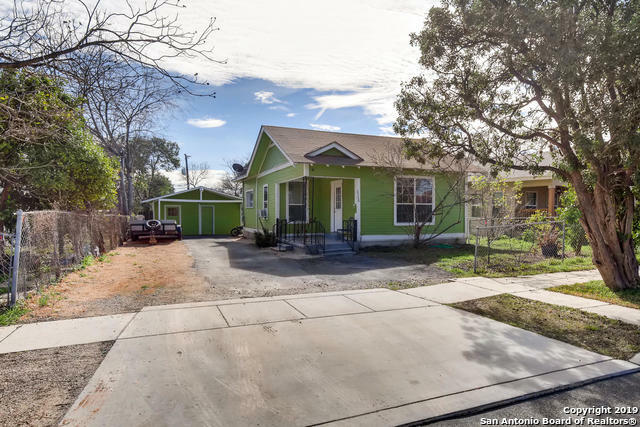 Convenient to I10 and Fredericksburg, this Prime Location in Sought-After Beacon Hill Offers Excellent Access to the City. Come and Discover a Large Master Bedroom, WIC, and Oversized Bath. Also Featuring new 30-year old roof, new electrical, plumbing, water heater, cabinets, vanities, an"
"Beacon Hill craftsman w/modern amenities, this historic home takes you back in time! Gorgeous hardwood floors, high ceilings, glass door knobs, dramatic floor molding, updated bathrooms & kitchen w/granite counters & stack stone backsplash. Tranquil, spacious, private side yard accessed thru French doors. Bonus: back house ready to be transformed into the space of your choice (think VRBO)! Enjoy the history of the area while being close to the action in downtown, The Pearl, Brackenridge Park, et"
"Hottest neighborhood in S.A.! To be completed rehab. 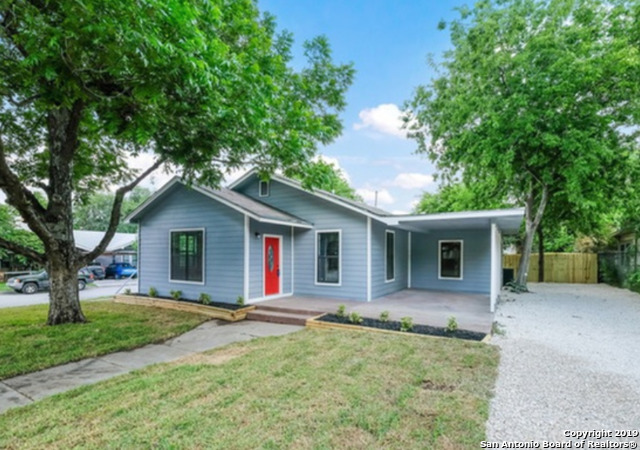 Stylish Modern upgrades include kitchen cabinets, contemporary tile work in all baths & showers, new mudroom, tile floor, new flooring in LR and BR's. added 1/2 bath powder room. Large 9' x 7' master walk-in closet, open floor plan, roof, windows, foundation, porch, plumbing & electrical upgrade. New siding, xeriscape, fence, porch. $3K appliance gift at closing. A 3rd party finance program for 10% DP avail. Ask 4 details"
"Elegantly renovated 3 bed, 3 bath home in the heart of Beacon Hill. Restored hardwood floors throughout entire home. Open floor plan w/ large living room, modern kitchen w marble counters, stainless appliances and gas cooking. Wood plank ceilings in office/study. Fully updated baths. New HVAC, gas lines and water heater. Perfect home for anyone who wants to experience downtown living." 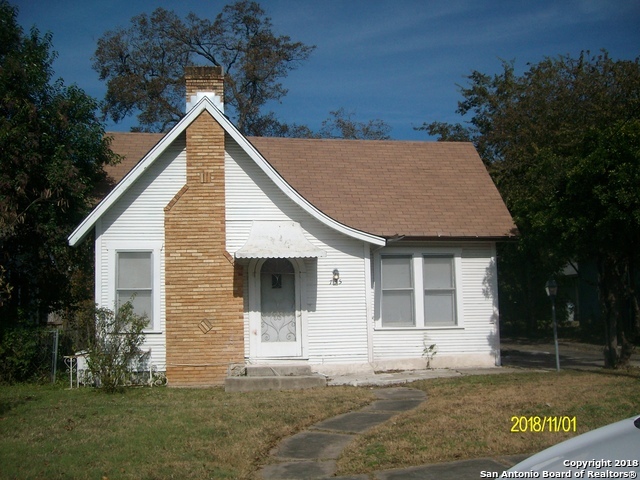 "This picturesque home is located in the Beacon Hill neighborhood, which is one of several unique neighborhoods that evolved during San Antonio's first great expansion, which began in the 1850s and continued to grow. 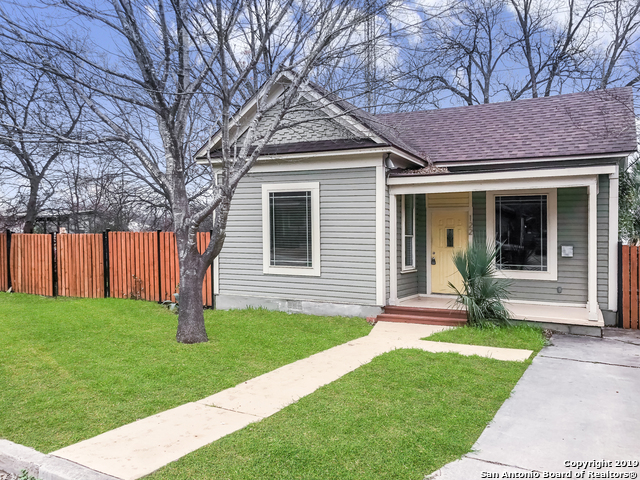 A place where you can say hi neighbor, this home has hints of the gracious time it was built with its original wood floors, front porch and claw tub. Loft can be used as a third bedroom, or game room, relax in the covered patio or watch downtown lights from the balcony." "**Open house 4-14-19 12-3pm** Acquire your very own piece of history in Beacon Hill. 3BR can be an office. This rare gem is truly remarkable. Well-kept with keen attention to detail, do not let this home pass you by. Every feature has been renovated and beautifully restored. Granite counter-tops throughout, stainless steel appliances, NO carpet, NEST system, corner lot, 3 carport side-entry with fresh Bermuda grass installed in the back. Close to downtown and Pearl Brewery." "Come and see this home for sale in Beacon Hill! 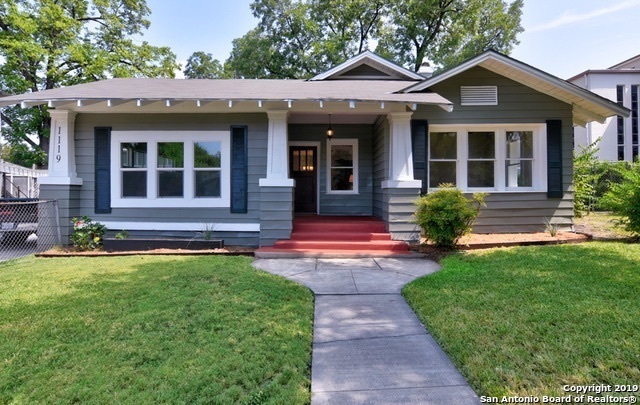 Hardwood floors, granite countertops, and subway style shower tile are just some of the upgrades that are awaiting someone to who wants to call this home their own. Located near downtown with easy access to both IH-10 and 281, HEB, the Pearl Brewery, the Quarry, Trinity, San Antonio College, Incarnate Word, and so much more. Schedule your showing today!" 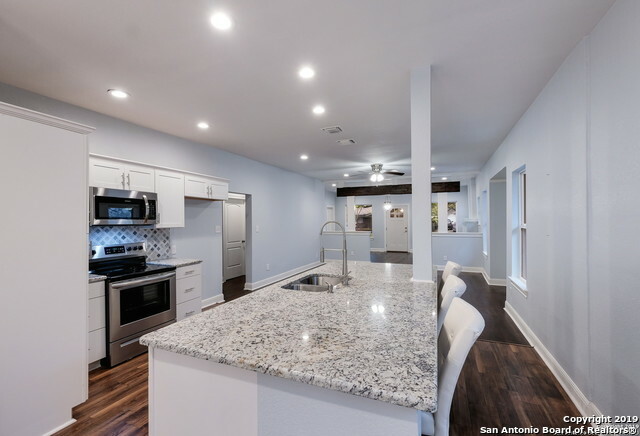 "Beautiful Beacon Hill is a quaint location giving you access to the most popular areas in San Antonio: Pearl Brewery, King William, Blue Star Complex, and Brackenridge Park. The open floor plan gives you a warm welcome, the fresh paint and recent make over make it easy for a smooth move in. The Guest Quarters is perfect for visitors, parents, or a small family. It boasts an open floor plan and has a kitchen and bathroom! DON'T MISS OUT." "Charming 3-2 in desirable Beacon Hill - totally Remodeled. Interior, exterior paint, new roof 2017, gorgeous 42 high dark kitchen cabinets/baths. Granite in kitchen and 2 full luxurious baths. 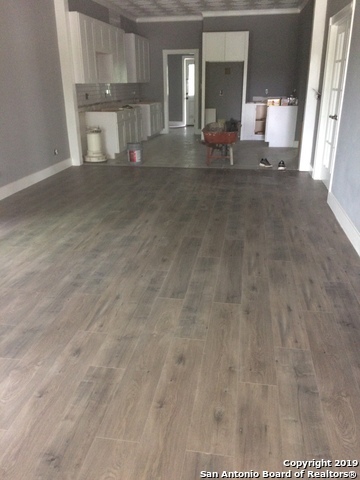 Wood laminated throughout the home except for kitchen and baths/ceramic tile. New CHAC. 2 living areas. Large family room, ceiling fans, covered front porch. A MUST SEE." "Wonderful started home for a young family. Seller Contributions considered." "INTERIOR FRESHLY PAINTED. NEW FLOORING AND CARPETING. SPACIOUS BEDROOMS. LOTS OF STORAGE." "Amazing Investment Opportunity In Beacon Hill! Home Has Great Character With Endless Possibilities!" "Beautiful 2 bed 1 bath home located in the heart of Beacon Hill! 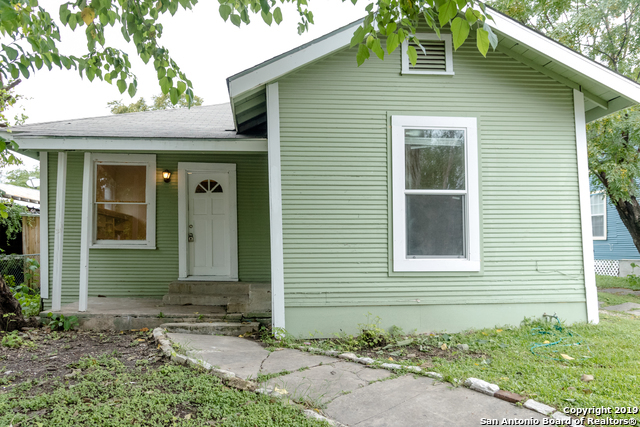 Great potential if you are looking for an investment opportunity nestled in one of San Antonio's prime locations. Various local eateries, antique stores, and many other eclectic shops. 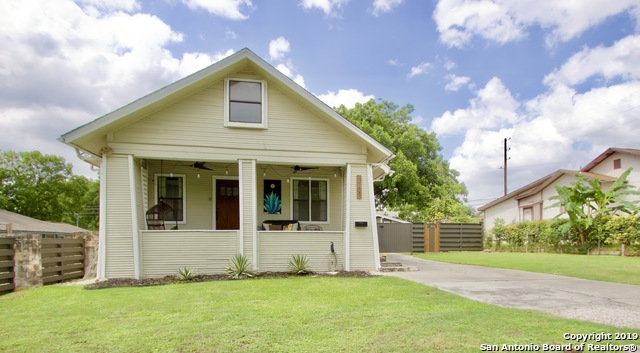 Easy access to IH10, this home is situated less than 5 minutes North of Downtown! Don't miss this opportunity. Schedule your viewing today." "Beautiful Beacon Hill 2 bedroom, 1 bathroom home on a very large lot! The home has laminate floors throughout, fresh paint, living and dining area provides plenty of room to entertain. There are stainless steel appliances, chop-block and granite countertops, with laundry closet in the kitchen. 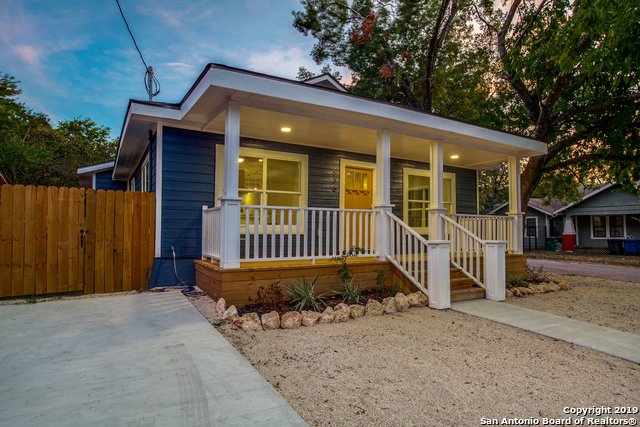 A spacious backyard makes this the perfect little home that is convenient to everything downtown San Antonio has to offer! Development potential with 70ft of frontage!"